My first book review will be about a book i finished today. It is originally swedish and written by Camilla Lackberg. It was given out in 2009 and it is one of many books about Erica Flack and Patrik Hederstrom. This book is called Havfruen, on english it is the Mermaid. Magnus Kjellner was happily married and had to kids. One morning on his way to work he disappears. His wife and kids have no idea where he is, and nobody knows what happened to Magnus. Three months later they found him frozen underneath the ice. Christian Thydell, one of Magnus’s friends have been receiving anonymous letters for more then a year. Patrik Hederstrom the police officer is stressed about the letters and about the murder on Magnus, in the mean time his wife Erica is pregnant with twins and trying to help out her friend Christian Thydell. 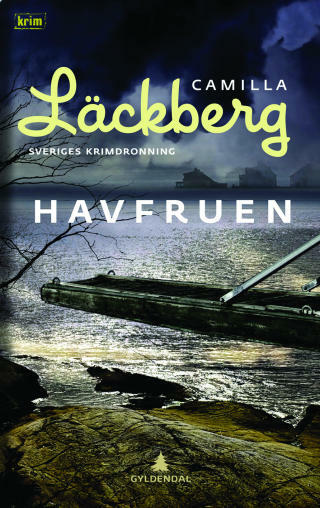 My opinion about the book: I have always been a fan of Camilla Lackberg since i read her first book in 2009. Since then i have read them all, and she always makes me very happy, this time was no difference. She writes amazingly, The Mermaid was exciting, it was romantic, and it was filled with lies, betrayal and love. I recommend everyone to read this book and all the other books written by CL. This blog will be used to tell other people about books, movies and my own opinions. All the books i read i will write a book review one, even if they are bad i will write about it. Same with movies. I am really into reading and movies, and this is a great opportunity to write about them. I also like to express myself. I have a lot of opinions about different stuff. I have opinions about clothes, politics, celebrities, countries i travel to, books and movies of course, but also about wars, tv shows, food etc. But first, i am 18 years old, and i like a lot of things. My favorite things to do is reading, movies, traveling, friends and family.